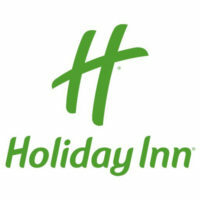 Holiday Inn is part of Intercontinental Hotel Group (IHG). It started as an American motel and has become one of the most recognizable international hotel brands worldwide. With head offices in Denham, England, Rio de Janeiro, Shanghai, Atlanta and more, they have nearly 3,500 hotels across the globe. Holiday Inn application link is located at the bottom. The goal of all locations is to provide comfortable accommodations, friendly atmosphere and great amenities. It is a hotel that will please both families and business travelers alike with their popular amenities, such as free wireless internet, dining, fitness centers, free breakfast for kids, and pools on site, in some cases. The first location was built in Memphis, Tennessee in August of 1952 by Kemmons Wilson and designed by architect Eddie Bluestein. Within four years there were 23 hotels with the 1,000th built in San Antonio, Texas in 1968. While a great entrepreneur, Wilson was also a family man with a wife and five children. With a friendly atmosphere and a passion for people, IHG looks to hire those who are engaging and love working on a team. It’s no wonder the company employment motto is “We’ll give you the room to be yourself.” The benefits package is robust and includes hotel discounts worldwide and access to a variety of discount programs. You can apply for jobs at Holiday Inn online. Holiday Inn is just one of nine brands controlled by the parent company, Intercontinental Hotel Group. While some brands offer luxury and exclusivity like Intercontinental Hotels and Resorts, others offer comfort and affordability like Holiday Inn. Intercontinental Hotel Group is a successful publicly traded company with $23 billion in total gross revenue in 2014. For entry-level positions, expect to receive around $9 an hour and the possibility of a benefits package. While the pay may be low, IHG fosters an atmosphere of growth and looks to promote from within, making entry-level positions still quite desirable. In many cases it is noted that applicants to these positions do well to download a printable application form and personally deliver it by direct application. Career-level positions are also available in many areas, such as Sales and Marketing, Business Support, and General Management. The projected salary would depend on the candidates experience and education, but the average base salary for a General Manager with Holiday Inn is about $53,000 annually. Corporate positions are also available at all head offices across the globe in fields like Finance and Human Resources. How old do you have to be to work at Holiday Inn? You must be at least 18 years old to apply for employment at any Holiday Inn hotel or head office. This is standard practice for the hospitality industry. It is a good idea to download application form when considering applying for any Holiday Inn jobs and make sure you meet all qualifications. With so many locations, Holiday Inn is always hiring. A great benefits package is offered at both local hotel locations and corporate offices. The packages may include healthcare support, dental, vision, disability and life insurance support, and a matching 401k plan. In addition, discounts on hotel stays across the world are also available to employees. Check their website to find all Holiday Inn jobs online. At hotel locations, many offices are open 24/7, save for food and beverage, sales and marketing and other such positions. Corporate office hours will vary based on location. Before applying, check their website for the office hours of the individual you would most likely interview with. For example, a potential waitress would interview with the Food and Beverage Manager. While there, download the online Holiday Inn application. Front Desk Agent – The Front Desk Agent is the first point of contact for guests at arrival. They will perform check-in procedures, check-out procedures and process payments. They will need to be courteous and attentive. Most will require a high-school diploma and some college and guest service experience. Compensation will start around or above minimum wage. Nights, weekends and holidays may be required. Reservation Agent – The Reservation Agent will be responsible for handling reservations, cancellations and room changes on the phone or in the hotel. Bookings may be for individuals or groups. Applicants must be able to get a firm grasp on room rates, provided scripts and up-selling methods. High school diploma is preferred and fluent English is required. Compensation will start at minimum wage with room for growth. Food and Beverage Manager – Applicants must have some college or culinary training but a Bachelor’s degree in Hotel Management or similar field is preferred. Carrying, lifting, and the ability to move about the hotel is required. While nights, weekends and holidays may be needed, applicants can expect an average wage of $44,000 annually and benefits package including healthcare and 401k for this full-time position. Finance & Business Support Manager – Applicants must present a strong resume and demonstrate a thorough ability to analyze operating and budget information and to use that knowledge to make strategic financial decisions. This full-time, corporate-level position requires a Bachelor’s Degree in Finance or related field. Compensation will depend on the applicant’s education and experience but will average nearly $75,000 annually. Junior Software Engineer – This career-level, corporate position requires a Bachelor’s degree in Computer Science or equivalent work/education experience. The job description states that the role is responsible for analyzing, debugging, designing and coding software. Providing expertise in developing web applications will also be one of the responsibilities. Salary is dependent on education and experience but the national average rests just over $65,000 annually. Depending on the position you will be interviewing for, the questions may greatly vary; see the questions below to help you get started. What past hotel experience do you have? If you have hotel experience, now is the time to share it. Try to include the exact name of the position you held and for how long and speak positively about it. In some cases past hotel experience is required; but, if you don’t have any, come prepared to discuss other relevant experience you have, such as customer service or computer/typing skills. What can you do for us that other candidates can’t? Highlight what makes you unique. For example, if you are particularly good at customer relations, talk about how you build and maintain good rapport. Or if you have specific training or certifications that will assist in the position, share those. Be confident but not long-winded as you could come across as arrogant to the interviewer. If I were to call one of your references, what would they say about you? First, make sure you have included good business references, not personal ones. Then ask them, in advance of the interview, how they would describe you to the interviewer. This way, if this question is asked during your interview, you can give honest responses that will align with the information from the reference. What are your aspirations beyond this job? Show a desire for growth but also an enthusiasm for the job you are interviewing for. Be specific about certain things you think the job can teach you and then realistic with future aspirations. For example, a front desk clerk could learn more about management and then look forward to being promoted to Manager on Duty. How do you handle an irate guest who, despite all efforts, is not satisfied? Depending on the position, the answer may be to pull in the General Manager for assistance. However, some roles may need to handle the guest personally. Consider stating the importance of listening and getting to the root of the guest’s dissatisfaction. When nothing works, continuing to state and enforce company policy is always best. Start by completing the free application or download the printable application for Holiday Inn online. The interview process at local hotels and corporate offices will vary greatly depending on the job. Entry level positions will likely be relatively informal but applicants should aim to dress for, or better, than the job for which they are applying. For hotel positions, business casual attire is recommended. Interviews at corporate headquarters will most likely require more business formal attire. Make sure dresses, skirts, and tops are modest. Shoes should be tasteful and refrain from any vulgar or offensive clothing. Some corporate-level applicants find that connecting with the interviewer is important, such as a favorite sport or alma mater. Do some research on the interviewer to help in this area. When you arrive at the interview, be approximately 15 minutes early. Put away all electronics and make good eye contact. The interviewer will see that you are excited about the opportunity and that you respect their time. If you haven’t interviewed in a while, do some practice rounds with a friend using the questions above. Whether you are looking for an entry-level hotel position or a career-level corporate position, review their website for all job opportunities and how to apply for Holiday Inn online. There you may find a printable application form or simply apply online using the Holiday Inn online application system. And when the interview is done, always express gratitude for the Holiday Inn careers opportunity.